A highly effective detoxifying treatment which emphasizes on lymphatic drainage. The technique focuses on clearing bodily toxins and helps in rejuvenation of the skin. This treatment oxygenates the blood tissues, in turn help you remain slim. 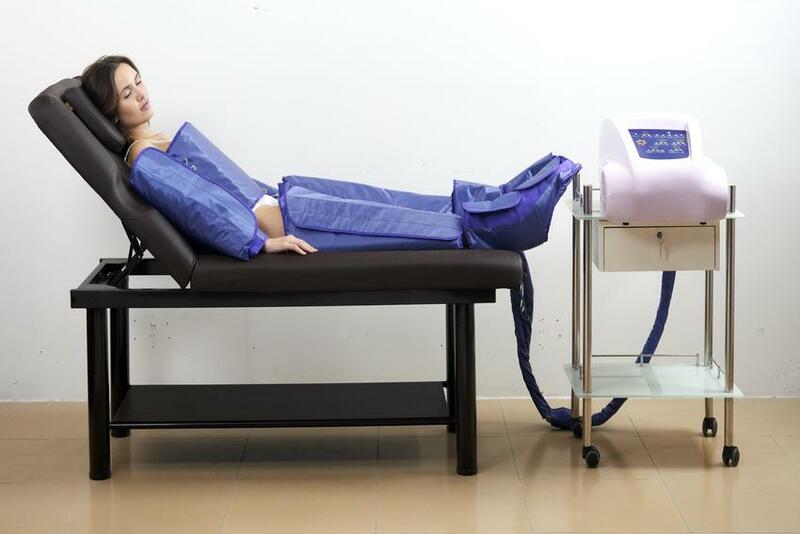 A computer controlled compression system inflates individual sections of a special multi-chambered garment, forcing toxins and fatty deposits into the circulation, which enhances extracellular fluid clearance, increasing venous flow. Toxins are then naturally flushed by the body through the lymphatic system which helps to promote metabolism. This procedure detoxifies the body and enhances the body’s natural lymphatic movements. The treatment itself is a relaxing procedure.